Av. Rio Branco 99, 7th fl. Trouw & Fraga Advogados is a boutique law firm with a team of experienced lawyers active in both national and international fronts, seeking new, creative, safe and efficient legal solutions in accordance with the specific needs of each client. Our mission, through the direct participation of the partners, consists of making our clients' cases viable. By tirelessly searching for the safest and least expensive legal solutions, we are able to provide a unique service. 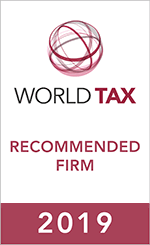 Our members are capable of advising foreign and local clients in Brazilian transactions. Based in Rio de Janeiro's downtown area, a privileged location which allows easy access to the main courts and public administration offices, Trouw & Fraga's team extends its legal practice to the whole national territory, with operational associates spread throughout all Brazilian states.